Looking for a refreshing smoothie that's not filled with a million calories? 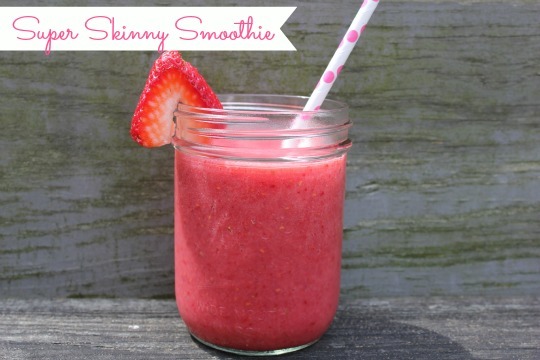 This yummy fruit smoothie is perfect on a hot summer day and you don't have to worry about it ruining that bikini body you worked so hard on! I love sipping on one when I'm laying by the pool. Keeps me nice and cool! Okay, I know Crystal Light has artificial sweeteners, but this girl drinks a few Diet Cokes each day! Blend together in a Magic Bullet or blender until smooth. Follow Me and My Pink Mixer on Facebook, Twitter, Pinterest and Instagram!